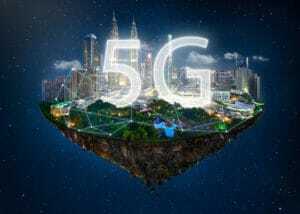 A 5G network has been the topic of discussion for many years now. 2018 will bring the implementation of the much speculated technology. Verizon is reportedly in negotiations with the city of Sacramento, California, to lease a 5000 square foot property. A property that will be used to push their 5G initiative in the area. 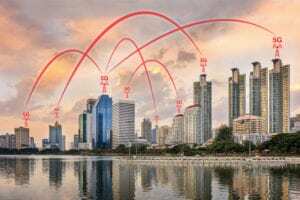 5G networking is a massive step forward and will likely revolutionize wireless connectivity, once it becomes widely available. The property in negotiations is located near Sacramento City Hall. The infrastructure previously served as the city’s IT department until 2014. It has remained unused since then. While this facility would undoubtedly require some renovating, it shouldn’t take Verizon long to get everything up and running (barring any significant issues). The city of Sacramento says the facility has most of the required infrastructure in place. Minimizing any large-scale upgrades. Verizon and Sacramento have a partnership that will allow the telecommunications company to install 100+ small-cell towers around the city. The towers required for 5G wireless service will be part of a ‘smart-city technology’ initiative that Sacramento intends to move forward with. The partnership will provide free WiFi in 27 of the parks owned by the city, as well as ‘smart-city technology’ implementation designed to help make the streets safer. Whether data center will be used as part of the partnership, remains unclear. According to Verizon, they are planning on launching 5G wireless residential broadband services in 3-5 markets in 2018. Sacramento, CA is the first location on their list and should be in place sometime this year. 5G is a hot topic but there isn’t a set of standards in place to dictate qualification. With new technology, standards are typically established as systems are rolled out. One thing we do know for certain, is that 5G is going to be fast. Very fast. To elaborate, 4G systems can transmit data at 100 Mb/s for users in motion, and 1 Gb/s for stationary devices. While these are the theoretical limits, most people don’t ever get speeds like this. 5G systems will have between 1 and 20 GB/s and will operate on frequencies between 30 and 300 GHz. Speeds significantly higher than 4G networks (6GHz). Allowing for larger amounts of data to be transmitted without system overload or failure. Through use of higher frequencies, 5G antennas can be much smaller, allowing for an estimated 1000+ additional devices per meter. The new Verizon data center is not as large as some of the most recently built infrastructures, standing at 5,000 square feet. The fact is, 5G systems won’t require massive data centers to run these systems. In fact, many people predict the rise of ‘nano-datacenters’; data centers that are very small and dedicated to 5G hardware. Others think that cellular network companies like Verizon will just house the necessary hardware in existing data centers that they either own, or lease. It is presumed that the servers, routers, switches, and other hardware needed for 5G networks will be kept in a variety of data centers, depending on the immediate area. With each addition of 5G networking, Verizon will likely evaluate the new location, and install the hardware where it will be most viable and cost-effective. 5G network has been discussed for many years now. 2018 will bring the implementation of the much speculated technology starting in California.